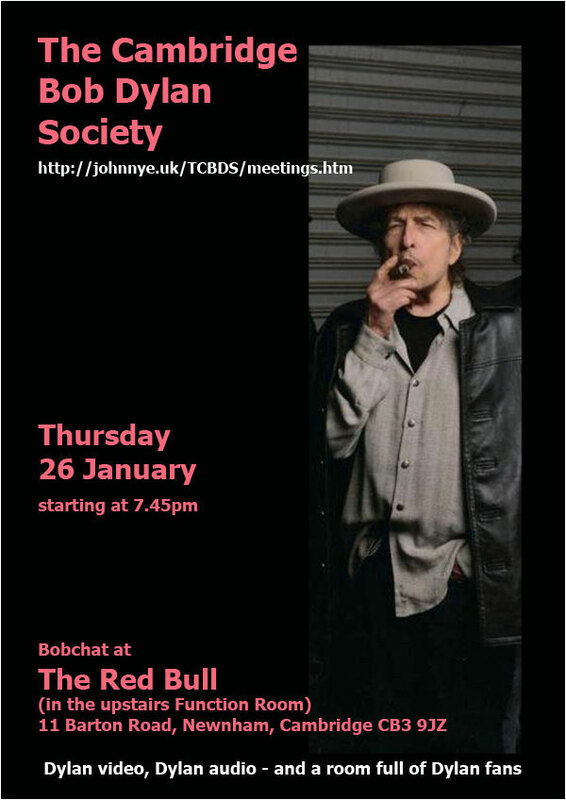 Attendees of the first Bobchat meeting at The Red Bull [Friday, 25 January 2013] were: Keith Agar, John Nye, John Stokes, Allen Purvis, Chris Rolph, Armando and Rhonda Fusco, Jeff Stevens, Brian Farmer, Jonathan Fudger, Adam Crothers and Bill Dallas. 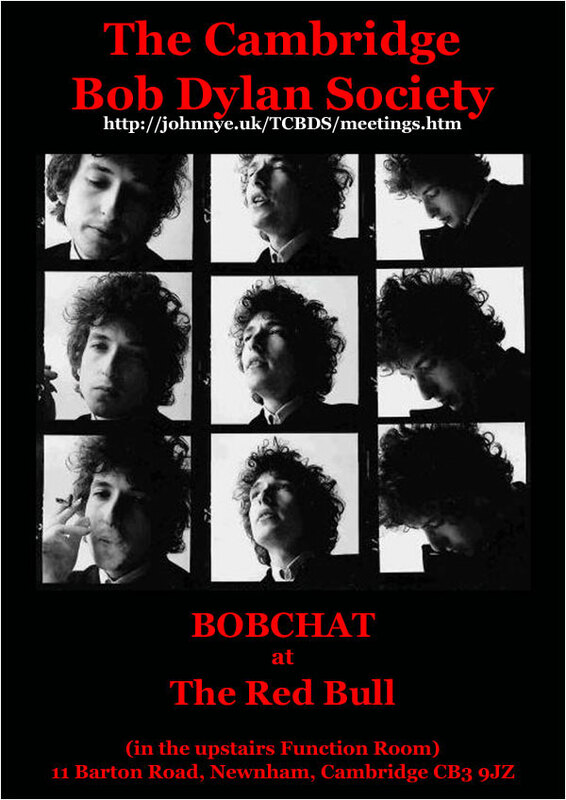 Hot topic was the just-released Bob Dylan 50th Anniversary Collection. 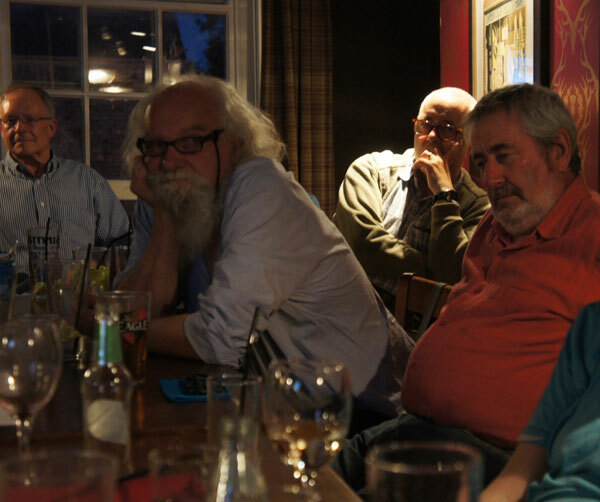 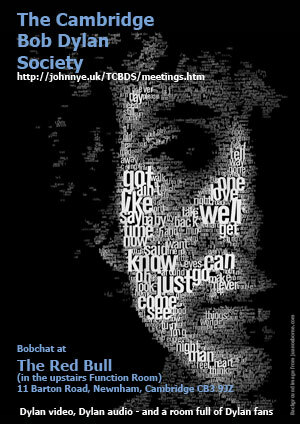 The first Bobchat meeting (the pilot) was held on November 20, 2012, at The County Arms, Castle Hill, Cambridge. 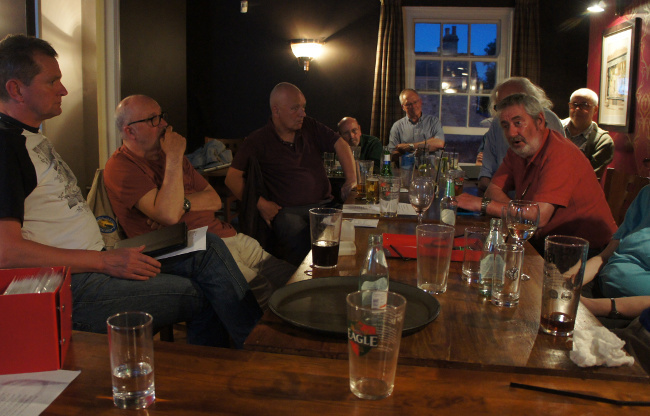 In attendance were: Keith Agar, John Nye, Chris Cooper, John Stokes, Allen Purvis, Jonathan Fudger, Ross Cole and Adam Crothers. 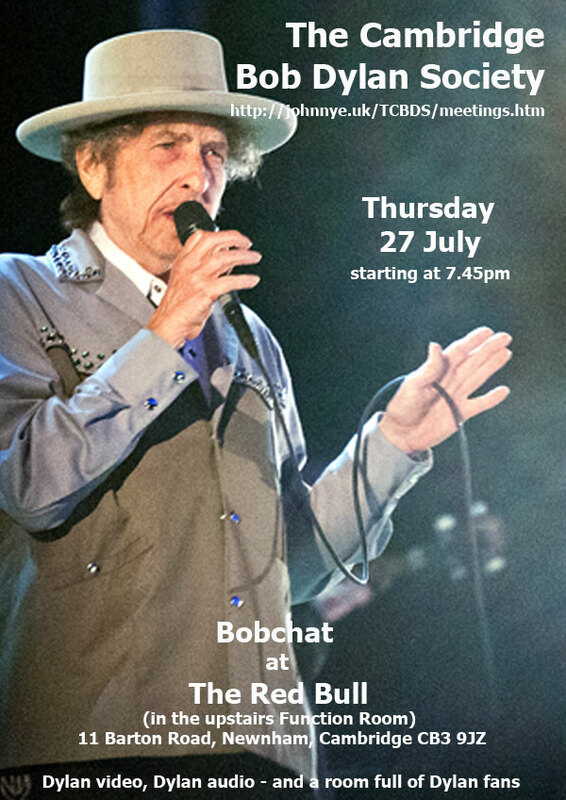 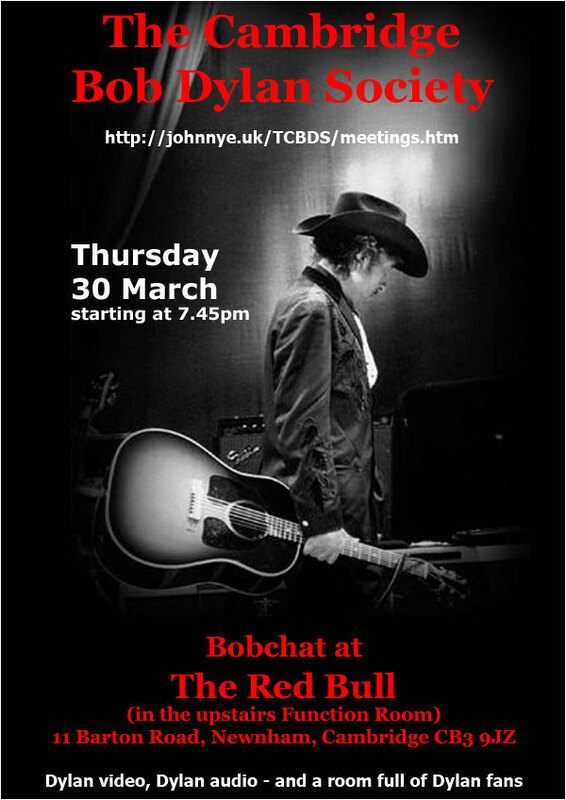 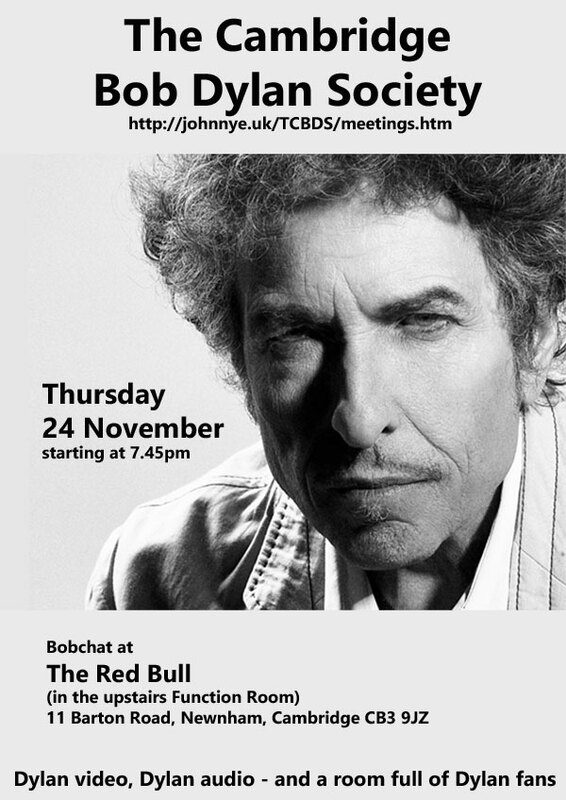 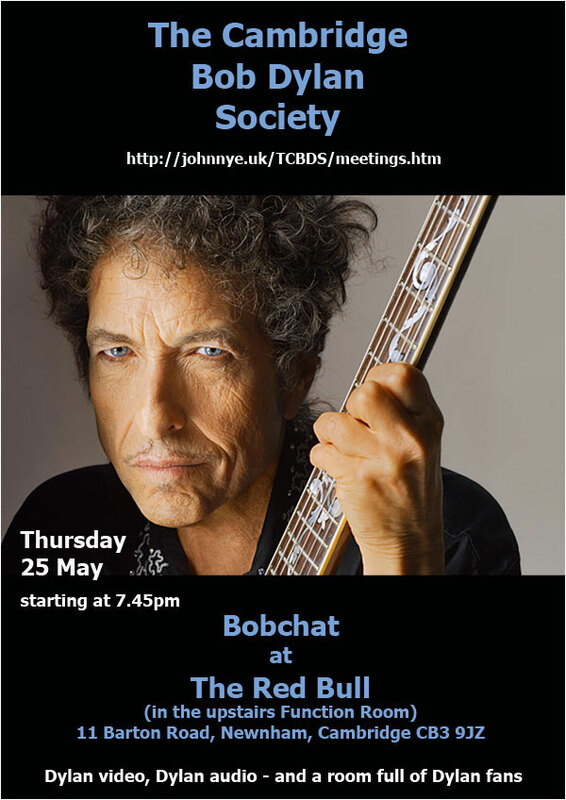 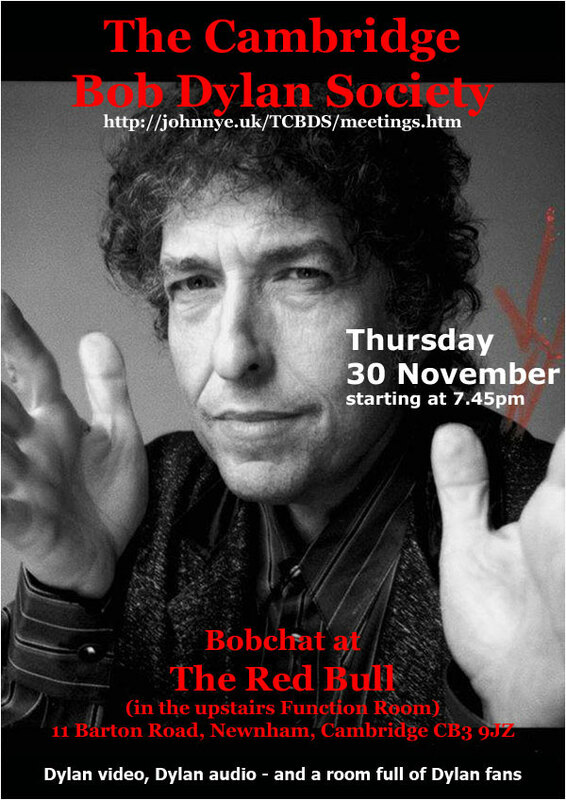 Bobchat evenings are when members of The Cambridge Bob Dylan Society get together and talk about all those Bobthings that we never seem to have time to discuss at our video nights. 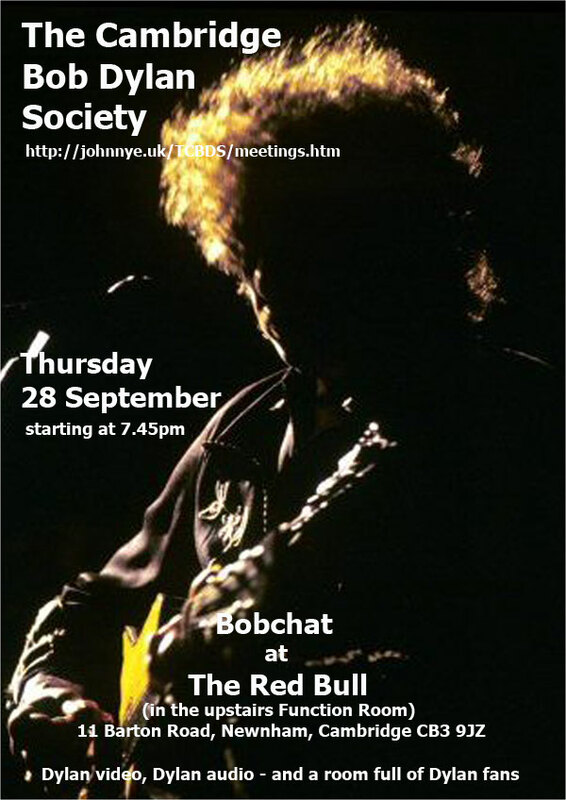 Very informal, over a pint, all are welcome. 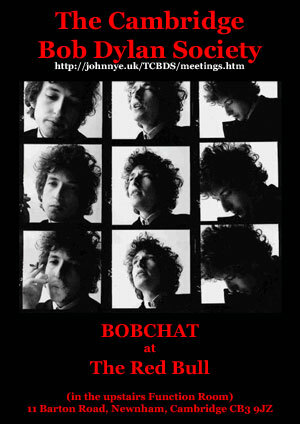 *The Nowhere Café can be found here. 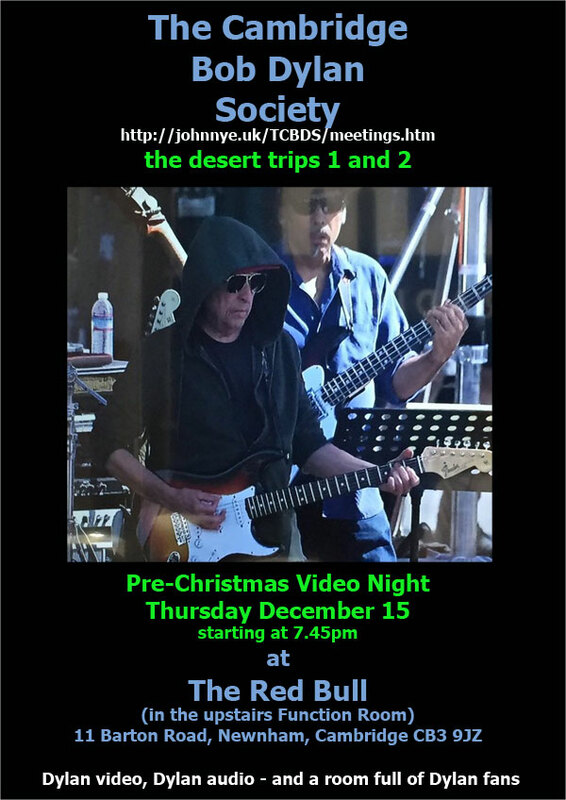 Links to other websites may not still be active.